This past weekend, the actual (American) football season kicked off for real. Generally, around this time of year, my LGS would schedule themselves a Blood Bowl league to get going as well. Let's face it, sports fans and gamers aren't really all that different. We're both very passionate about our pastimes. 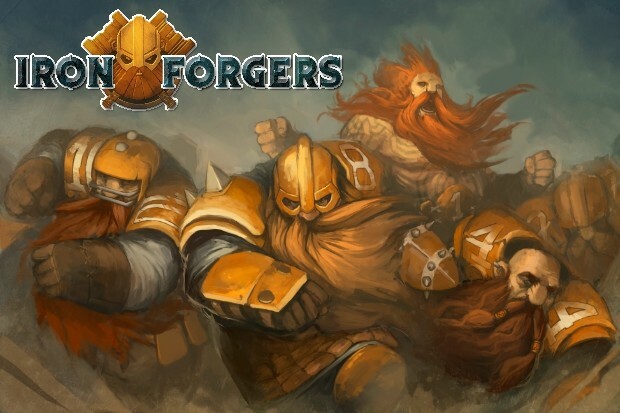 Well, if you're looking for a new fantasy football team (for Blood Bowl or some other game), there's a new dwarf team up on Indiegogo. The Iron Forgers are set to hit the field. There's pledge levels to get the whole team plus a Deathroller. The campaign is doing swimmingly, with already 117% funded and a stretch goal unlocked (the Kicker). There's still 21 days on the clock, so get your dwarven football game-face on (like my friend Halfi always has) and get going!